I wonder what exactly a cat would write down in it's memoirs. Maybe lots about sleeping. And eating. And jumping on tables. Maybe the occasional hissing, too. Today I've got a palette I've been meaning to share for a while, but haven't gotten around to. For the longest time, I didn't even think of using it because it was much too cute. The Sephora Say Hello Palette was repackaged with sakura flowers and a blue bow early this Spring, and named the Memoirs of a Kitty Palette. Unlike its predecessors, the palette has been updated to carry two blushes in the lower compartment instead of 4 lip glosses (hooray!!!). I really didn't find much use for the glosses. 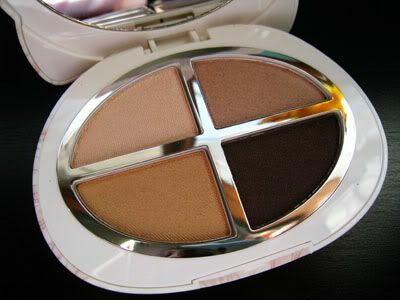 The eyeshadow colours are all neutral, and great for everyday use. The colours listed clockwise would be pinky beiege, tan, brown, and honey. No crazy names this time. The formula for these unfortunately has not been changed, and they still remain powdery and chalky, leading to some fallout issues upon application. 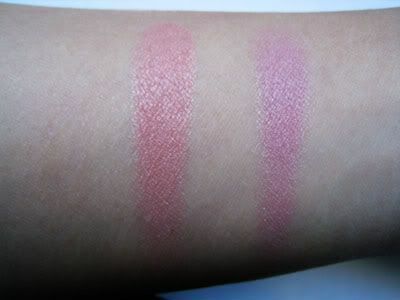 The colours are quite pigmented upon application, but after some blending, they tend not to show up as well, but can be layered to intensify the colour. 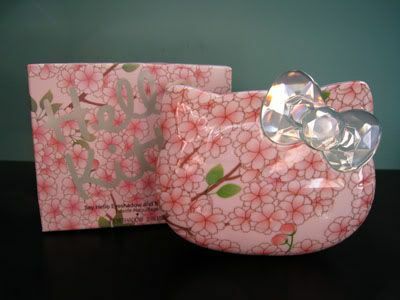 The blushes included in the palette are very wearable, and surprisingly pigmented. One swipe of your brush overtop and you may end up looking like a ragdoll. I am not kidding! 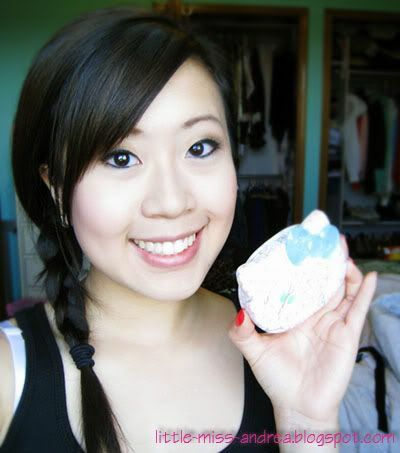 They are crazy pigmented and flattering on most skin tones. 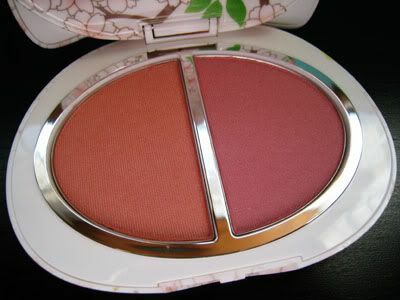 The two colours are described as peach & rose, where the peach colour is more of a natural shade to wear. Despite the little difficulties with the eyeshadow fallout, I like this palette. It is a nice size to carry while you are travelling, it looks cute, and the colours are great for everyday use. I actually find myself reaching for this often because I can use the blushes in the lower compartment as well. 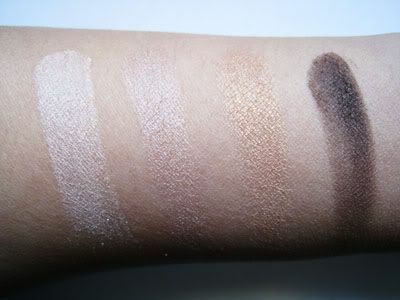 With this palette, I normally go with a neutral smoky eye that can be worn day & night, as show in the picture above - do an allover wash of tan on the eyelid, honey on the inner half of the eyelid, brown on the outer v, and pinky beige as a highlight. 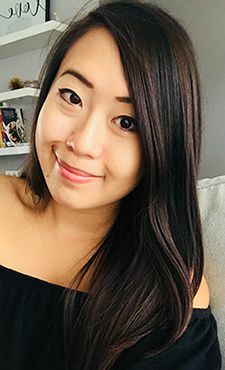 It's a super easy look that doesn't take much time to do! Be a Dahl-ia Won't You?